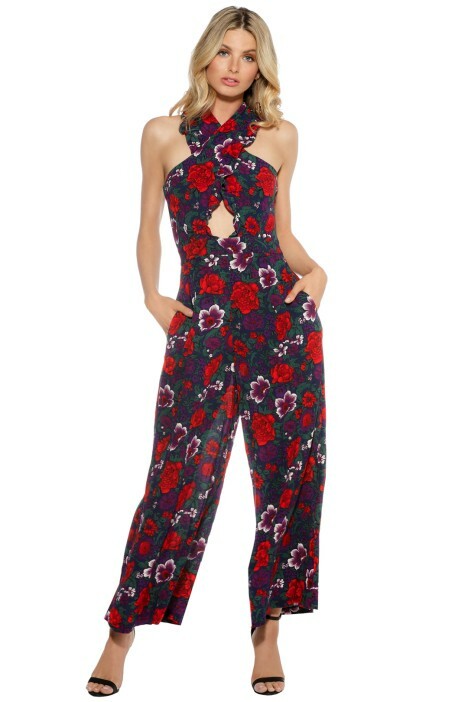 Deep reds and violet floral print designer jumpsuit with feature cross front and back bodice edged in a frill with cut outs. Fully Lined. Viscose outer layer and polyester lining. In stock in US6 UK10 RRP online is £400. Alice McCall is recognised as a cutting edge label from some of the world’s leading luxury department stores. Perfect condition. Only worn for a promotional shoot.